According to the 2016 European Private Equity Activity Report,2 approximately €52.5 billion of equity was invested in European companies, with €36.5 billion relating to buyout investment. Growth investment, which is typically a minority investment in mature companies that are seeking primary capital to expand and improve operations or enter new markets to accelerate the growth of business, reached amounts close to €9.7 billion, meaning that seed, start-up and later-stage financing (venture capital) are still a reduced fraction of the total private equity investment made in the European market. In terms of geographical investment flows, the largest part of capital circulated inside the European territory, with €35.6 billion capital investment made domestically within European countries and €15.5 billion made in cross-border investments within Europe. The most targeted sectors were consumer goods and services, ICT (information and communication technology) and business products and services, with a combined percentage of approximately 68.3 per cent of all private equity investment made in Europe. This conjuncture was reflected in Portugal, whose economic recovery positively affected its private equity market while maintaining similar distributions of investment by stage and sector.3 Following the growth trend of previous years, assets under management (sum of equity, financing, liquidity, options on derivatives and other private equity assets) reached €4.6 billion by the end of 2016, with an increase of €430.9 million in comparison with the previous year. 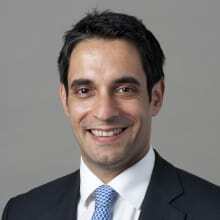 This positive development was due to an increase in the amounts invested in other private equity assets, and occurred despite a slight decrease in the investment in equity and other investments in national targets (supplementary capital contributions, accessory contributions and shareholder loans, bonds and other debt securities). Equity only accounted for 25 per cent of the total amount invested in the national private equity sector, while other investments appear as the major target in 2016, amounting to up to almost 60 per cent (€2.5 billion). Of these other investments, accessory contributions, shareholder loans and other loans take on the largest role, with a significant increase in 2016. Furthermore, amounts invested in non-domestic targets increased by 5.5 per cent in 2016. Currently, there are 44 private equity companies and 99 private equity funds operating in the Portuguese private equity sector.4 Investments of these private equity funds are spread out over 88 targets and investment units in 19 private equity funds, totalling €4.4 billion. Investments of the private equity companies are spread out over 41 private equity companies and investment units in 29 private equity funds, totalling €249 million. This shows that investment via private equity funds is staggeringly more significant than via direct investment through private equity companies, comprising 94.6 per cent of the total investment in private equity assets in Portugal. There is a significant concentration of the Portuguese market, with 11 private equity funds representing around 71 per cent of total assets under management, their management being carried out by seven operators, three of which manage 61.1 per cent of the global fund value. This concentration is also apparent due to the fact that six out of a total of 806 equity participations represent approximately 22 per cent of all assets under management registered in Portugal and the 49 participations with a minimum value of €5 million represent 60 per cent of the total managed participations. There are no equity participations exceeding €100 million. As for the targets that private equity agents generally envisage, holding companies that manage non-financial corporations that act as vehicles for investments in other companies are quite popular, as they enable end investments to be non-disclosed. The sectors that have captured the largest amounts of private equity investment are the financial and insurance sectors, which represent 75 per cent of the total investment in private equity in Portugal. The processing industry and real estate sector are also gaining ground, especially following the exponential valuation of the Portuguese real estate market. In respect of the stages of investment, private equity comprises 80.5 per cent of the total investment, the largest branch of this stage of investment being the turnaround, representing 36 per cent, but with a significant decrease in comparison with 2015 (51.3 per cent), followed by the expansion stage (21.2 per cent). This decrease in both turnaround and expansion stages was caused by the sudden growth of investments in the management buyout stage, which has risen from 0.7 per cent to 17.7 per cent. Despite evidencing an upturn in the number of participations, the percentage of investment captured by venture capital has not displayed a large variation. At this point, and expecting to be lifted by multiple measures implemented by the Portuguese state, the start-up stage holds at 10.4 per cent of the total amounts investment. Private equity investments differ in terms of management approaches between hands-on (technical supervision and management involvement) and hands-off (restricted to the allocation of funds). This distinction is also related to the level of control that the investor intends to exercise. By the end of 2016, 63.9 per cent of all investments concerned shareholdings under 30 per cent of the total share capital of the targets. Concerning the duration of investments, nearly 45.8 per cent of the private equity investment had a term of less than four years and 8.8 per cent was kept for more than 10 years. Management incentives may be structured as compensation schemes linked to predetermined performance thresholds, equity-linked participation programmes, granting managers the option to acquire shares at a discount or vesting mechanisms where shares are gradually ‘unlocked’ and offered to managers at a discount or even free of charge. Furthermore, exit bonuses are standard market practice for almost any private equity entity in Portugal. From a strategic point of view, equity incentives are a reliable source of interest alignment between the management and the company, constricting both parties to equal goals and targets. Since management incentive arrangements are designed to intersect interests of both the management and the investors, general prohibitions on the transferability of equity or the incentive itself are used to ensure that it is exclusively held for the benefit of management. This kind of mechanism is complemented by the fact that, in the event of change of management, the interest may be transferred back to the company, either to the inbound management or to a ‘storage vehicle’. For this purpose, ‘good leaver’ and ‘bad leaver’ provisions are used to adjust the vested equity accordingly. A regular compensation package may be structured as ‘two and twenty clauses’, where the carried interest corresponds to an entitlement to 20 per cent of the profits by the fund managers and 2 per cent of the fund’s committed capital as an annual management fee. Rachet provisions are mechanisms designed to align the amount of equity held by owner managers with the performance of the company after the initial investment. However, Portuguese law does not regulate this form of provision, and whether the gains obtained therefrom are taxed as labour remuneration, consequently being subject to personal income tax and social security, or as capital gains, is currently still under discussion. Portuguese law sets no restrictions, neither legal nor regulatory in nature, on the ownership of companies and assets by foreign entities or individuals. This general rule notwithstanding, a framework for the acquisition of control over strategic assets was created by Decree-Law 138/2014, of 15 September, aiming to ensure national defence and safety, as well as the guarantee the country’s supply of national-interest structural services, such as energy, transport and communications. Takeovers of assets in any of these areas, which are deemed to be strategic, by a non-EEA country’s nationals, either individual or legal, may require a prior assessment by the cabinet member overseeing the relevant sector. Should the government ultimately determine that the acquisition might harm national interest, by threatening either the country’s security or its provision of fundamental services, the transaction might be prevented from occurring. Under the provisions of the Portuguese Companies Code, whenever a simple interest relationship is established (i.e., a company holds an interest equal or superior to 10 per cent in another company) the acquirer company must notify the acquired company, in writing, of all acquisitions and disinvestments in the latter’s equity. In the case of a company that establishes a relationship of control in another company, which is presumed after the acquisition of a majority stake, if the acquirer has more than half of the voting rights or if it has the possibility of appointing more than half of the members of the board of directors or of the supervisory board, the dependent company may not purchase shares of the former company. Pursuant to the Portuguese Companies Code, if a company acquires 100 per cent in the share capital of another company, a general shareholders’ meeting must be convened by the board of directors of the dominant company within six months, in order to alternatively decide over the dissolution of the dependent company, assign the shares of the dependent company or maintain the existing situation. If a company acquires, directly or indirectly (by means of a dependent company or one that it is in a group relationship with) an interest greater than 90 per cent in another company, the former must notify the latter of such fact within 30 days of the moment that this amount of interest was achieved. A ‘squeeze out’ mechanism is available within six months of the notification, by which the dominant company may secure the remaining equity from the other shareholders. Similarly, if the dominant company does not squeeze out the remaining shareholders, any minority shareholder may, at any time, demand in writing that the majority shareholder purchases the remaining shares from it, within a time limit of not less than 30 days. In the absence of said purchase, or it being considered unsatisfactory, the minority shareholder may request a judicial purchase from a court of law. Particularly relevant to private equity investors that do not acquire large interests in their targets, the Portuguese Company Codes ensures, through multiple provisions, that minority shareholders are protected from certain abuses. First, in limited liability companies (SA companies), although the general shareholders’ meeting must be convened according to the law or when any of the boards (board of directors, audit commission, executive management council, audit committee, general and supervisory council) deems it necessary, it will also be convened when one or more shareholders with an interest superior to 5 per cent requires it. As for private limited companies (Lda companies), all shareholders may request the managers to convene a general shareholders’ meeting or include items in the agenda, and no shareholder may be restricted from participating in the general shareholders’ meeting, even if it is prevented from exercising its voting rights. In order for a limited liability company to decide on matters such as modifications to the company’s by-laws, mergers, demergers, transformations or dissolution, a qualified majority is required. Regarding information rights, limited liability companies and private limited companies have different frameworks. Any shareholder of a limited liability company that holds an interest superior to 1 per cent of the share capital may consult, provided with the allegation of justified grounds: management reports, accounts, supervisory boards and certified public accountants reports of the previous three years; convening notices, minutes and attendance lists of the general or special shareholders’ meetings or bondholders’ meetings of the previous three years; the global remuneration amounts paid to the company bodies members of the previous three years; the global remuneration amounts paid to highest paid employees; and share registry documents. In private limited companies, managers must provide true, complete and clear information on the company’s management and ensure the inspection of books and documents to any shareholder that so requests it. Although this information right may be further developed in the company’s by-laws, its effective exercise may not be prevented or unjustifiably limited. The minority shareholder is naturally subject to abuse by the majority shareholders under certain corporate resolutions. Therefore, typical resolutions that address the non-distribution of profit with the intent to pressure minority shareholders into relinquishing their shares, the increase of share capital with the intent to render minority shareholders unable to partake in such an increase, or change of company headquarters may be annulled if the court considers that the resolution was intended to harm the interests of the company or some of its shareholders. On the other hand, minority shareholders are also subject to the same provisions of the Portuguese Companies Code, which may prevent them from improper conduct, such as the abuse of judicial opposition to corporate resolutions with the intent of forcing the company to carry out a transaction that specifically benefits the objector or even the withholding votes in favour of a proposed alteration of statutes essential to preserving the corporate interests, when such votes are essential for the approval of the proposal. Pursuant to the Portuguese Companies Code, directors are subject to fiduciary duties, namely the general duties of care and of loyalty. The duty of care is defined as the standard of a diligent and responsible business person and requires directors to have the availability and willingness to carry out the company’s management, the proper technical capacity and skills for the performance of the relevant functions and an understanding of the company’s business, appropriate for the due performance of the role. Directors are also bound by a duty of loyalty according to which they must exclusively act in the best interests of the company and of the stakeholders who are relevant for its sustainability, in particular employees, customers and creditors. In addition, the duty of loyalty also comprises three fundamental principles, namely: (1) a non-competition obligation towards the company, which requires directors to act without the intent to obtain benefits for themselves or others; (2) the prohibition of taking advantage of corporate opportunities; and (3) prohibition of trading with the company, except in specific, legally established, situations. Furthermore, rules set out in the Portuguese Company’s Code establish that directors must avoid any activity that can result in a conflict of interest with the company unless express consent has been granted by the general meeting of the shareholders and may never vote on resolutions of the board of directors if they are conflicted in any way (for example, if they are involved in an MBO). Directors may only enter into agreements with the company in the situations strictly set out in law, may never use the company’s assets for their own benefit or the unlawful benefit of third parties and are bound by a duty of confidentiality in respect of information related to the company that is not available to the public. The duties directors are bound to may be further expanded by means of management agreements and in the by-laws of the company. Managing entities of private equity funds are subject to specific provisions, established in Law No. 18/2015.5 The managing entity, in the exercise of its functions, acts on behalf of the investors, independently and in their exclusive interest, with the obligation to perform all acts necessary for a diligent and responsible administration of the private equity fund, according to high levels of integrity, diligence and professional ability. In the performance of its duties, a managing entity shall safeguard the legitimate interests of the investors, refrain from entering into arrangements that may lead to a conflict of interests with investors and set up an organisational structure and internal procedures proportional to the size and complexity of their activity. Apart from being bound to the duties of care and loyalty set out above, directors of managing entities must satisfy demanding fit and proper criteria established by the CMVM. From the general principle governing civil liability, any director that, wilfully or negligently, infringes another person’s right or a legal provision designed to protect the interests of others, is under the obligation to indemnify the aggrieved party for the damage arising from such infringement. Damage caused to the company, shareholders or third parties may arise from an action or omission or because of the breach of the legal or contractual duties of a director in the performance of his or her duties. Directors are liable under civil law for the damage caused to the company by way of action or omission in breach of their legal or contractual duties, unless the respective director proves that he or she did not act with fault. Portuguese law lays down a rule of fault-based liability, albeit with a presumption of guilt, rather than one of strict liability. Directors are also liable for the damage directly caused to shareholders and third parties, under the general terms of the law. This liability is a fault-based liability, that is, conditional upon the aggrieved parties producing evidence that an unlawful or negligent conduct was carried out by a member of the board of directors and that said conduct caused damage to the shareholders or third parties; furthermore, said liability is joint and several with the remaining members of the board of directors. Furthermore, directors can be held responsible for the damage caused to creditors of the company, in which case the rules do not significantly differ from the ones regarding damage caused to shareholders and third parties, with the single difference that the aggrieved party bears the burden of proving that the non-payment of the claims is due to the insufficiency of assets of the company and that such insufficiency arises from the faulty breach of the legal provisions designed to protect creditors of the company. The insufficiency of assets, alone, is not enough to establish such liability. One or more shareholders holding a minimum share quota of 5 per cent of the company (2 per cent in listed companies) may, in the name and on behalf of the company, file a lawsuit against a director with the intention of receiving compensation for the damage suffered, without prejudice to other lawsuits for compensation in respect of individual damage caused to that same shareholder. Even though the amount of assets under management registered an increase of €430.9 million in comparison to 2015, reaching a total of €4.6 billion by the end of 2016, the value of local private equity investment suffered a decrease of 4.3 per cent in 2016, mainly due to the decrease in investments made by private equity funds. This dichotomy shows that the number and value of deals made in the Portuguese market is quite irregular. In spite of this, various deals were recently completed by private equity funds or companies. Fund Oxy Capital, purchased industrial company Ligote Alumínios, which manufactures and processes aluminium profiles for the construction and transformation sector, through the Oxy Capital Mezzanine Fund. After an investment for a period of nearly 10 years, Inter-Risco, SA completed the disinvestment of an interest of 30 per cent in MasterTest, a company dedicated to the vehicle inspection industry, with a trade sale. Alantra Private Equity completed the acquisition of 70 per cent of Portuguese MD Moldes, a leading company in the development, production and distribution of specialised plastic moulds and components for suppliers and global car manufacturers. In early 2018, the gym chain Fitness Hut was sold to the British fund Bridges Ventures through the sale of the 50 per cent interest held by private equity holding Edge Capital. Whenever private equity transactions are not carried out with resort to the equity raised by the private equity entity itself, which is the norm, private equity investors traditionally seek domestic bank financing. Despite recent signs of economic recovery, Portuguese banks are still showing risk aversion to large investment transactions, mostly due to the fact that liquidity has not yet reached the necessary levels in order for national banks to feel comfortable undergoing large-scale financing risks. For that reason, foreign banks are absorbing a considerable portion of the investment financing being resorted to in Portugal. Debt financing structures include senior term facilities, senior revolving facilities and mezzanine facilities, which usually require robust security packages, including pledges over shares, receivables and bank balances, and even mortgages over immovable assets. Another hurdle private equity entities face when resorting to leveraged acquisitions is financial assistance (financing or securing the acquisition of a joint stick company’s own shares), although there are mechanisms to circumvent it, namely the financing of the repayment of shareholder loans or supplementary capital contributions by the target, the granting of pledges over the target’s shares by its shareholders or the tranching of facility agreements in order to segregate amounts which may be secured by target company (for example in respect of working capital requirements) from those that may not (namely those raised for the acquisition of the targets shares). Recently, a new legal framework was introduced for the setting up of crowdfunding platforms. This attempt to present a funding alternative is related to the success obtained by European platforms such as Seedrs, which has already achieved €140 million in equity crowdfunding. In late 2017, Seedrs entered into a partnership with the public Portuguese venture capital company Portuguese Ventures for the investment in Portuguese start-ups registered with the Seedrs platform, which is an important advance in the development of alternative financing mechanisms for private equity transactions in Portugal. No two private equity transactions are alike, their terms depending on a number of factors including, but not limited to, the quality and quantity of information disclosed by the seller, the timeline of the transaction taking place or whether or not due diligence is carried out beforehand. In order to mitigate risk, a contractual framework of representations and warranties is usually negotiated between the buyer and seller (more or less robust depending on the assurance provided during the due diligence process and the negotiation phase of the transaction) that if breached may lead to a number of consequences, such as the reversal of the transaction, penalties or triggering of price adjustment mechanisms. Risk can also be mitigated by means of purchase price adjustment clauses, which vary according to the dimension and type of the transaction taking place. The most common purchase price adjustment clauses are the locked box and completion accounts clauses, which are essentially distinguished by the date of transfer of economic risk. With the locked box clause, the valuation of an invested company is based on a historic set of reference accounts before the closing of the transaction. This mechanism is particularly coveted by the seller since there will be no subsequent purchase price adjustment and it results in a swifter, simpler and more cost-friendly deal, since both parties will know the amounts each party has to receive or concede at a specific moment of the transaction. Under the completion accounts clause, the establishment of the price is deferred to the moment of the closing of the transaction, with the investor disbursing the purchase price in accordance with the real level of assets and liabilities of the target. The parameters according to which the adjustments of the final value of the purchase price shall be calculated are usually contractually established in the share sale and purchase agreement. Conditionality clauses, MAC (material adverse change) clauses and clauses limiting the liability of the parties are also frequent and standard market practice in almost any private equity transaction, their terms and scope depending, among other factors, the sector and industry in question, the political environment or the target asset in question. As a general standard, the fulfilment of conditions precedent may include both effort and cooperative obligations. The former determine the amount of effort to satisfy the conditions precedent that is expected and required of the buyer. The level typically agreed to regarding the accomplishment of conditions precedent related to merger control or regulatory authorisations is that of ‘commercially reasonable efforts’. On the other hand, cooperative obligations set both parties’ mutual duties to cooperate in the attainment of the conditions precedent (e.g., reciprocally providing sensitive information and reviewing filings to regulatory authorities). ‘Hell or high water’ clauses imposing upon buyers the obligation to do all that is necessary (as required by the relevant regulatory authorities) to satisfy the conditions precedent are rare, due to their potential harming of the buyer or target. Considering the difficulties in ensuring the investor’s willingness to obtain financing for the transaction between the signing and closing, there is usually some reluctance on the part of the seller to include related conditions precedent. Should a special purpose company be incorporated by the buyer in order to acquire the target shares upon the closing, it is common for the seller to ask for an equity commitment letter to be provided. This letter is only to be effective when the transaction’s conditions precedent, as set forth in the sale and purchase agreement, are fulfilled. While the legal system in place in Portugal is grounded in civil law, the importance of major common law jurisdictions such as the UK and the US in international business has significantly shaped the framework for cross-border deals. 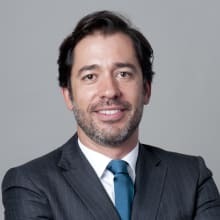 Even though Portuguese law governs the overwhelming bulk of transactions involving Portuguese companies, it is within the parties’ powers to freely choose a different legal system to the influence of which to submit the transaction documents. This is exceedingly common when one of the parties is a foreign investor. Accordingly, as long as Portuguese law’s mandatory rules (such as governing provisions on the transfer of shares, assignment of credits and obligation, among others) are abided by, parties to contracts of either a civil or commercial nature have the right to determine the governing law as provided for in EU Regulation 593/2008 (Rome I), which is in force in Portugal. In 2016, disinvestment was in large part made through write-off operations and third-party sales, which amounted to 31.5 per cent of the total disinvestment in private equity assets. Following the trend of previous years, no disinvestment was made through an initial public offering, although the CMVM recognises that there is room for an IPO since in 2016 103 private equity holdings had valuations over €2.5 million, being eligible to go public. 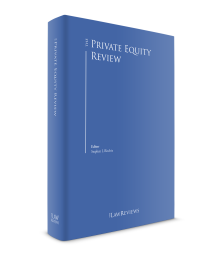 With the introduction of the Legal Framework of Private Equity, private equity entities may be subject to one of two legal regimes, depending on the value of their assets under management. If the asset value under management of a private equity entity is greater than €100 million (in respect of portfolios containing assets acquired with recourse to leverage) or €500 million (in respect of portfolios not containing assets acquired with recourse to leverage and in respect of which there are no redemption rights for an initial five-year period), private equity entities are considered to be above a relevant, legally established, threshold, and are subject to a more demanding legal framework than entities which do not have assets under management which cross any of these two thresholds. Private equity entities that fall within the more demanding framework are subject to, among others, the following rights and obligations: (1) prior authorisation of the regulator for incorporation of private equity entities above the relevant threshold; (2) the EU passporting system for banks and financial services is applicable to private equity fund participation units; (3) outsourcing of management and other services must be disclosed to the regulator; and (4) conflict of interest policies must be drafted and maintained in order to avoid, identify and manage potential conflicts. Following the developments of private equity investment registered in Europe, the total amount of assets under management in the private equity sector maintained the growth trend of previous years. Some signs of the economic crisis remain evident in the unwillingness of domestic and foreign players to invest. However, although turnaround and distressed transactions still represent the majority of private equity deals in Portugal, there has been a visible decrease in these types of transactions, replaced by a growing trend of management buyouts. This emergent rebalancing of distressed private equity, undertaken by more speculative players, for more conservative transactions, indicates that the market has matured and traditional investors are becoming more confident in the domestic business fabric. Other factors, such as political and regulatory stability, low interest rates, an increase in financial fund willingness to invest in certain transactions and several macroeconomic forecasts suggest the positive development of the private equity sector in the coming years. 1 João Mattamouros Resende and Francisco Santos Costa are partners at Cuatrecasas. 2 2016 European Private Equity Activity Report published by Invest Europe and available at www.investeurope.eu/research/activity-data/annual-activity-statistics. 5 The Law No. 18/2015, of 4 March, transposed Directives No. 2011/61/EU and No. 2013/14/EU of the European Parliament and of the Council and executed Regulation No. 345/2013 and 346/2013 of the European Parliament and of the Council, developing the legal framework applicable to private equity investment activities. 6 Regarding the supervision of managing entities of private equity investment undertakings, the Portuguese Securities Market Commission may cooperate with the Portuguese Central Bank and with the European Securities Market Authority. 7 CMVM Regulation No. 3/2015 and CMVM Regulation No. 12/2005.